I did a complete overhaul of my desktop and Tablet. Both are now running Windows 7 and I decided to use Office 2010 (I know it's in Beta) and I must say I am greatly encouraged. So far I have been very pleased with both. "Either there is no default mail client or the current mail client cannot fulfill the messaging request. Please run Microsoft Outlook and set it as the default mail client"
Is it safe to assume this is due to the Office 2010 Beta? Or do I have other issues? 2010 uses the same file structure as 2007, so I am just wondering. Thanks Paul for bringing this to our attention. No official testing has been completed yet on Outlook 2010 so I can't say for sure if this is a PB or Outlook issue. Is Outlook 2010 installed as your DEFAULT email app? If you have a message saved on your desktop (not in PB) can your OS still open it? It is set up as my default. When I copy a message to the desktop and then click on it the message opens in Outlook without a problem. Also, I have the 64bit version of both installed. I tried it on my Tablet and received the same message. Although on my tablet I am only running the trial version right now (supposed to get a new Tablet soon). It works for me - I have Office 2010 32 bit installed. Ugh! :-) is that clear ? Your explanation about the smilies and included documentation helped a lot....just wish I could have made it work. It seemed to take an extra couple of seconds for Outlook to open. I can still copy a message to the desktop, double click and it opens in Outlook. I've been using it a bit more today and I think it might be a Windows 7 64bit issue. 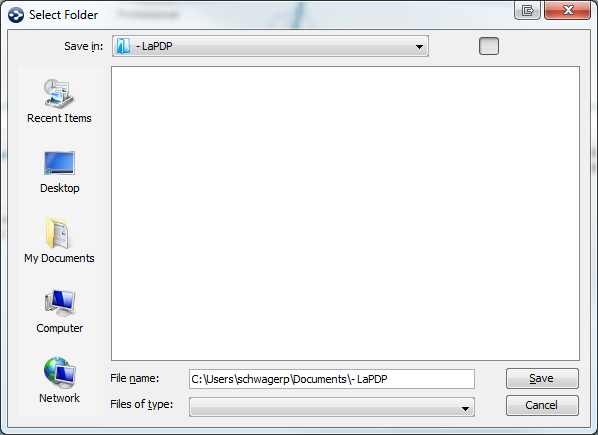 My workaround has been to create folders and drop the items into the folders. This has the benefit of consistency across computers (using Live Mesh to sync my files) but disadvantage that items can't link multiple places. I am using Windows 7 Ultimate 64-bit and office 2010 beta. I do not have a problem transferring files into PB5. They transfer with no problems either creating a link back to Outlook or making an internal copy. I have run into the default e-mail client issue before but not with PB5. It happened with a backup program that failed to properly backup my Outlook PST file. The company explained that this is a Windows 7 change and their software would have to be recoded to properly work in the Windows 7 environment. I believe it may have had something specifically to do with the 64-bit environment. Are you using the 64bit version of Office? Or the 32bit version? Maybe it's something else I have on my machine...although not much is there right now. Thanks for confirming that it's probably not Windows 7 64. I first installed the 64-bit version of office 2010 and quickly found out that Windows mobile device center (WMDC) was not compatible with the 64-bit version of office 2010 and as such, I lost synchronization capability with my smart phone. So I quickly uninstalled office 2010 beta 64-bit and installed the Office 2010 beta 32 bit. I will revert to the 64-bit version when office 2010 is formally introduced and they have upgraded WMDC accordingly. Excellent thanks. So it sounds like an Office 2010 64bit issue. My folder work around is fine right now, but hopefully it will work its way out at some point...of course when my employer does a formal upgrade I might be using the 32bit version anyway. Probably something that will need to be mentioned in the future as others look at using Office 2010-64bit with Personal Brain. Uninstalling the 64bit version and installing the 32bit version of Office cleared up the issues. Once the 64bit version is officially available there might need to be a note about Personal Brain integrating...of course it might work with the real version. I just installed 64 bit Win 7 and Office 2010, and I get the problem described in this thread with PB 6.0.1.6-b. Will this issue be resolved by coming versions of PB? If not, any suggestions what I should do? Now that Office 2010 is out of beta, we'll make sure that this issue is addressed in a future release.